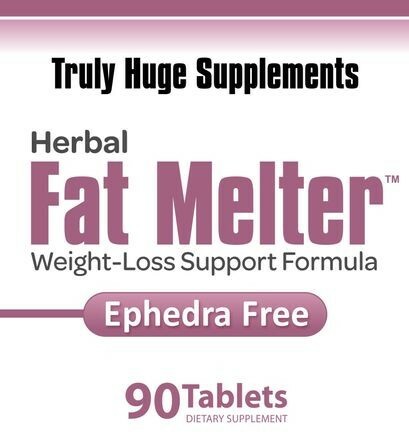 "Natural herbal extract burns fat faster and more effectively than many other products. You can be burning a tremendous amount of fat, while preserving your muscle tissue." A proprietary blend of Vitamin B-6, Iodine (from kelp), Chromium (picolinate), Guarana (33% extract providing 100mg naturally-occurring caffeine), Cocoa Extract (98% Theobromine), Yerba Mate Powder, Green Tea Leaf (98% extract), Garcinia cambogia Leaf (50% HCA), Chitosan (90% deacetylation, Gymnema sylvestre Leaf Powder, Banaba (1% extract), Lagerstroernia speciosa (leaf), Calcium Pyruvate, Apple Cider Vinegar, Grapefruit Powder, Coleus forskohlii Root Powder, White Willow Bark Powder, Uva Ursi Leaf Powder, Juniper Berry Powder, Buchu Leaf Powder, Cayenne Pepper (40M HU/G) (fruit). For adult use only: As a weight burning dietary supplement, take 1 tablet in morning, and take another 1 tablet in the afternoon. For best results, use as part of a low calorie diet and exercise program. Free Bonus #1 - Fat Loss Manual, an easy to follow fat loss guide that gives you a day-by-day plan to make sure you are burning the maximum amount of fat possible. Free Bonus #2 - Fat Loss Food Chart, a durable hand-folding guide of food quantities and values to assist in simplifying daily meal preparations.